Eleanor Charlotte Fleming, forgotten daughter of a minor baronet, stakes her life on a deception and makes her name—if not her fortune—on the battlefield. 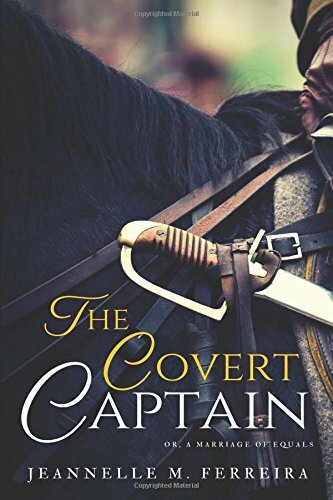 Her war at an end, she returns to England as Captain Nathaniel Fleming and wants nothing more than peace, quiet, and the company of horses. Instead, Captain Fleming meets Harriet. Harriet has averted the calamity of matrimony for a decade, cares little for the cut of her gowns, and is really rather clever. Falling in love is not a turn of the cards either of them expected. Harriet accepts Captain Fleming, but will she accept Eleanor? Along the way, there are ballrooms, stillrooms, mollyhouses, society intrigue, and sundering circumstance.